Moving across the globe takes guts. The home platform that supports you fosters safety and security. The moment you build the emotional momentum to take that one, single step forward, out over the unknown, you will forever be propelled forward, resolute to the motion of gravity. It is onerous to turn back. This defining moment is life changing and sorry, but once gravity takes you, you are committed and can never entirely prepare yourself for what awaits you below. The result: your home platform will never look the same, but the second jump will never appear as alarming again. Today we are introducing Sheree Anderson. Our wonder woman and lady of steel! 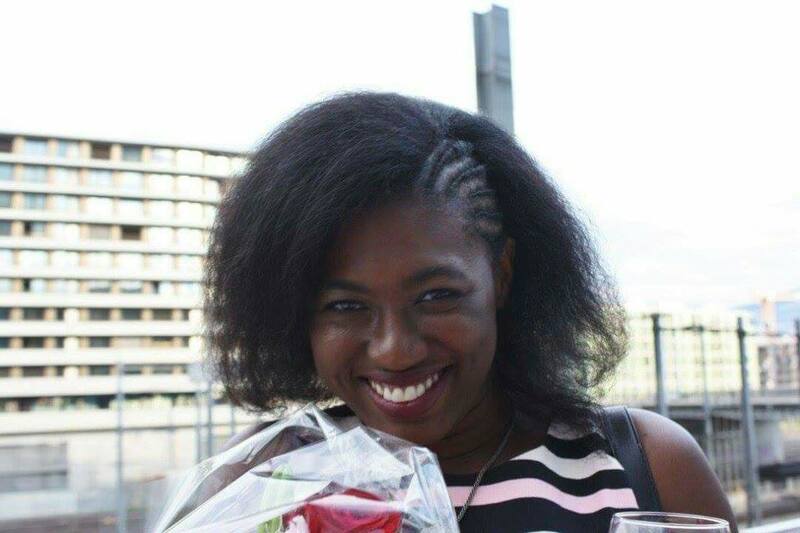 Originally from Kingston, Jamaica, Sheree came to Geneva Switzerland for a Master in Economics from the Graduate Institute Geneva. Her studies led her to an internship at the International Trade Centre (ITC) in Sector Competitiveness and the International Organization for Migration (IOM) in Assisted Voluntary Return and Reintegration. Now on a traineeship with the International Committee of the Red Cross, she is exploring yet another side of the international organisations lifestyle that intertwine amongst the veins of Geneva’s living tissue, forever contributing to the character of the city. So in conclusion, go for what you feel deep down will best moves and challenges you to grow. Try to keep step to the unknown rhythms that you new life will play out and don’t get discouraged if you fall out of time every once and a while. Have fun with it and remember to that the taking on new challenges is an exciting adventure. Keep in the moment, realise your taking on a great feat and that deserves admiration and self-respect. So get on it and move to what inspires you. International Trade Centre (ITC) – The location where this lovely lady walked into my life. ITC offers a trade assistance to small and medium enterprises, has a great small family working culture and fosters a feeling of close involvement to the projects that you will be working in. Gruyere, Switzerland – Where you can eat your hearts desire of chocolate at the end of a 5 CHF tour of the Cailler Chocolate Factory for appetizer, followed by a steaming bowl of Fondue for your entry and meringue or nusstorte (nut cake) for desert. Also check out the designer of the creatures for Alien at the HR Giger Museum. Attend glocals.com or meetup.ch events – and please do at least one hike in the Swiss or French alps! Plan on traveling around Switzerland? – Take a 1/2 fare card to have 1/2 off travel around Switzerland which is expensive. If under 25 it is great as for a small additional cost you can get the free after seven card to do just that, travel free anywhere from 7PM to 7AM.